I found this snowflake in a box full of projects and can remember making it, but can't remember the pattern that I used. 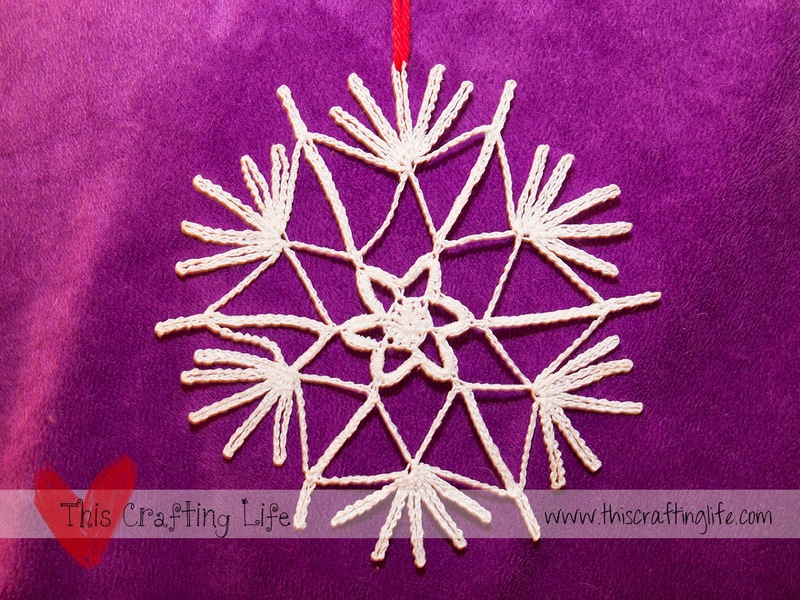 I do remember that this one wasn't one of my favorite snowflakes that I have ever created but I can say that blocking made all the difference. I remember that it looked all messy and loopy and didn't make sense as a snowflake until I blocked. For these, since they weren't meant to be doilies, I first wet them and blocked them, then once they were dry, but while they were still on their pins, I painted over them with a mix of white glue and glitter to keep their shape and give them some shimmer. Do you know this pattern? If so, please do me a favor and share the link in the comments below!! !